No, not your hunger. Let’s do something to help those that are really in need of food both locally and worldwide. The Clearance section of the Pale Spruce store is now open with a handful of one of a kind products. 100% of proceeds from Clearance products benefit NUMB (Nebraska United Methodist Bike Ride For Hunger). All products in the Clearance section are priced at $6.00 or $8.00. The individual items in the products are worth much more than the listed price, so you will be getting a good deal and helping to fight hunger. Where Did The Clearance Items Come From? When designing the products for Pale Spruce, I went though a lot of variations and tested out a lot of different products. 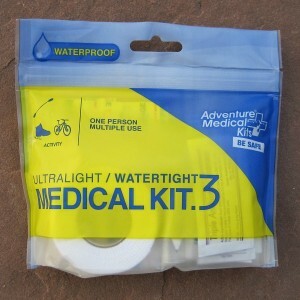 That resulted in the OutThere kits meeting the requirements for being small, waterproof, ultralight, and full of essential items. It also resulted in a lot of extra gear items that did not make the final products, but were perfectly fine for other uses. 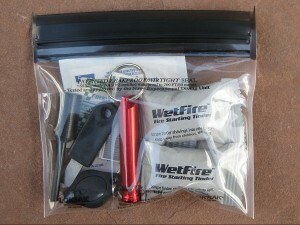 Instead of those items sitting in a box in the garage, they have been combined and turned into one of a kind products. Click on the pictures below to see product details or go to the Clearance section to see all of the products listed. 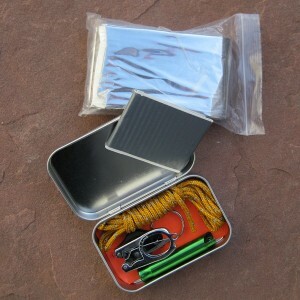 Mini Tin contains survival gear for starting a fire, signalling, shelter, light, and basic first aid - all in the size of a pack of Altoids. 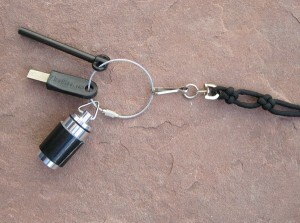 Show your Broncos colors - survival lanyard with whistle, light, and watertight canister. 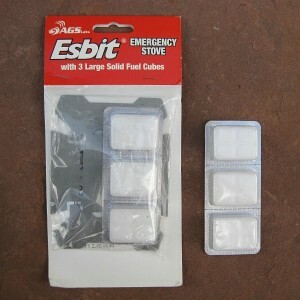 Lightweight Esbit solid fuel stove with 6 fire starter tabs. All items in the products are brand new and never used. 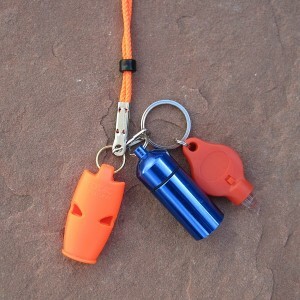 A lot of the items such as the Fox 40 Whistle in the Bronco Lanyard, or the Firesteel.com firesteels in several of the products are incredible items by themselves. They didn’t make it in to the Pale Spruce kits due to size, weight, or cost. Over time, more of these clearance items or sales will be happening at Pale Spruce. I would like to turn my business into one that provides great products and service, but also a business that gives back to help people in need. So, please head over the store and check out the Clearance items. If there’s an product that you like, but it doesn’t have everything you want, leave a comment and I’ll be happy to reconfigure it for you at no cost. I’m sure I have what you are looking for, and I’d rather you get what you want than for me to have a bunch of items sitting around my garage. Previous post: Screw Racing, I’m Going Bikepacking!